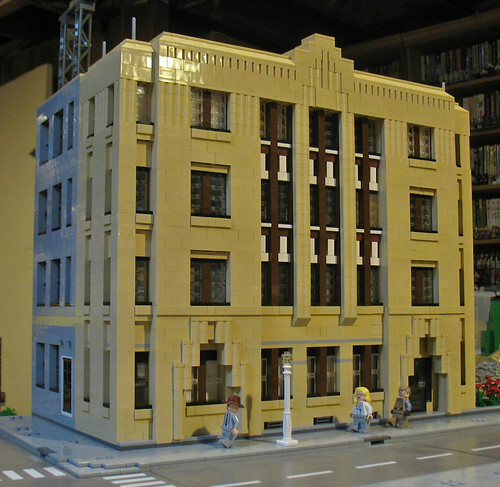 Brick Town Talk: Art Deco Detroit - LEGO Town, Architecture, Building Tips, Inspiration Ideas, and more! Detroit, Michigan - (BTT) Style and elegance has made it to Motor City. Art Deco has transformed the town into a mainstay for thousands of people. Cars are everywhere, and traffic jams are on the rise. When asked about the problem, the mayor said, "Yeah, it's a huge problem. It's like there's a factory around here making cars or something..." Brick Town Talk refused to ask anymore questions. This looks like the police station in Detroit 1-8-7.